According to Ignite Technologies and Ragan, 71% of companies were already using video to communicate with their employees in 2015. Furthermore, 44% of executives strongly agree that video will be the “de-facto” form of communication within their organization in the next 5 years. It’s no longer a question if businesses will use video, but rather when and how your business is going to take advantage of the medium. Using video can help get your message across in ways that other tools can’t. This blog is aimed to help organizations, of any size, on how to adopt video within their internal communication strategy, as well as look into what the future of video holds. Why is video such a valuable tool? In the competitive and fragmented market of today, brands have identified video as the ideal tool to help reach more influences, expand their targeting and tell their story. Video has already become an indispensable medium for marketers. Furthermore, human resource departments are expected to make the same capital gains with the development of a video communications strategy. Although many have incorporated video to improve office communication, there is still a level of uncertainty regarding the value that video actually adds. Below are the three beneficial reasons why using video has become a vital tool for human resource managers looking to improve office communication. Video has managed to seamlessly overcome the ability to link the emotional aspect with the face to face element to help make the intangible elements more tangible. Using video helps connect the human element to the corporate values. For example, take an employee’s introductory period at a new company, where they are likely to be introduced to a company’s values. It can be difficult for new hires to truly engage with a company’s vision, and find a meaningful connection with their daily duties. Video, and in particular, employee generated content, can help portray what it’s actually like to work for the company and why they believe so strongly in the company’s values. In today’s environment, organizations need to adapt their communication channels to appeal to all their workforce demographics. Organizations and particularly human resource managers need to make adequate adjustments to ensure all employees feel comfortable and equipped to succeed at their job. Nowadays, it’s almost expected for organizations to have modern communication formalities in place. Video is already one of the most consumed mediums outside of work. Having a video-orientated internal communication strategy will not only attract the best talent but will help suit their needs and thus prove to be more important when it comes to employee development. Over the past decade, the effectiveness of internal corporate communication has been one of the main indicators of an organization’s financial performance. A company can employ a range of practical steps to ensure they measure their ROI on their internal corporate communication. Such measures include the introduction of mandatory surveys or comprehensive feedback, as well as a focus on behavioral changes. Using video, however, allows human resource managers and other department managers to better understand just how valuable their investment is. Managers can look at video bounce rates, open rates, the length of video watched as well as the popularity of individual videos. Combining the analytics from the internal communication videos with an employees or departments day to day performance data will allow managers to optimize their content to suit the needs of their employees better. Leading businesses have been using internal communication videos to help convey their message for years. The difference in 2017, however, is the rapid rate of organizations fully integrating a video-based internal communication strategy. You only have to look at the recent statistics published by some of the social media giants to recognize how indispensable video has come. Sure, most of these dominating statistics are as a result of personal consumption rather than that of corporate use. But, any increase in consumption will surely progress into the business world. In fact, there has already been a significant increase in video usage across organizations of all sizes. In a study conducted by Forbes, 75% of executives reviewed stated that they watch at least one work-related video per week. As we mentioned in our previous blog, 2016 was an important year as the millennial generation surpassed their Generation X predecessors. Yep, the generation brought up on Youtube and short-form content now represents the largest demographic in the workforce. So what does that say for human resource managers looking to improve internal communication at their workplace? Millennials are visual learners. Human resource managers need to look beyond the traditional forms of communication and start introducing practices that will not only appeal to employees but will engage them. Employees are already comfortable with using video to communicate outside of the workplace, and they want the same type of tools installed within the workplace. They don’t want to learn about company policies through a 10-page document. They want to watch a video instead. It’s not just employees who are looking at video to build a more formidable internal communication process. Managers and other office executives are constantly on the lookout for new mediums to help increase employee engagement and improve office communication. From a manager’s perspective, they need to bring the best out of their employees. They need to establish a deeper connection with their workforce, and having a video-based internal communication strategy does exactly that. It’s a proven theory that the combination of both pictorial and verbal representations can help increase retention. Managers, executives, and organizations as a whole are using video to help employees absorb more information, resulting in a more engaged and connected workforce. Video as a tool is moving at a rapid pace and has been used heavily across multiple industries and departments. Internal communications is just one of the many functions within an organization that has seen video extend to and engulf. In the past, there were far too many technological obstacles for video to be considered as a viable option for human resource managers. Before modern intranets were introduced, the possibility of network enterprises hosting videos securely was questionable. Human resource managers were required to host their created internal communication videos on external platforms, like Youtube, which for obvious reasons, raised privacy and confidentiality concerns. As technology advances, the opportunity to explore new and exciting channels of internal communication has obviously increased. 2017 has already seen a lot of changes in the internal communication videos, but what can we expect to see in the near future? Live video streaming is one of the latest ways that organizations have begun to communicate and reach larger audiences unmediated. One of the key elements of live video streaming is that it encourages two-way communication. Organizations can begin to live stream employee training videos and meetings before uploading them to a centralized video platform for users to view. Live video streaming allows employees to ask questions or share ideas in real time. Slowly but surely virtual reality is becoming a mainstream piece of technology. 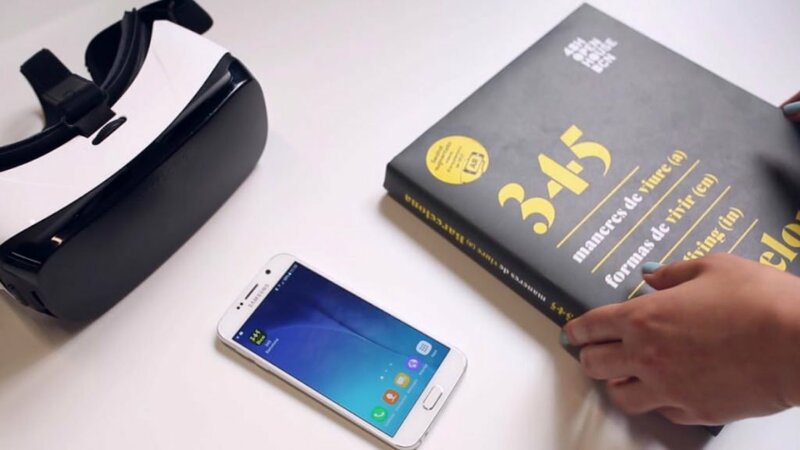 Although the consumer virtual reality industry has still not reached its peak level, various companies have started to use the technology as a form of training. Virtual reality offers an even more powerful emotional connection in internal communications. Walmart is just one company that has introduced virtual reality as part of their employee training strategy. Walmart employees are using the Oculus Rift to watch a series of employee training videos to help experience real-world scenarios. Oil companies and hospitals have all introduced virtual reality to help train and prepare for complex situations. Vertical video simply refers to a video that is created to be viewed in portrait mode. As with a lot of technological trends, social is driving the adoption of vertical video. With Snapchat leading the way, Facebook shortly adopted the change, switching from their encouraged widescreen (16:9) or square (1:1) aspect ratios. 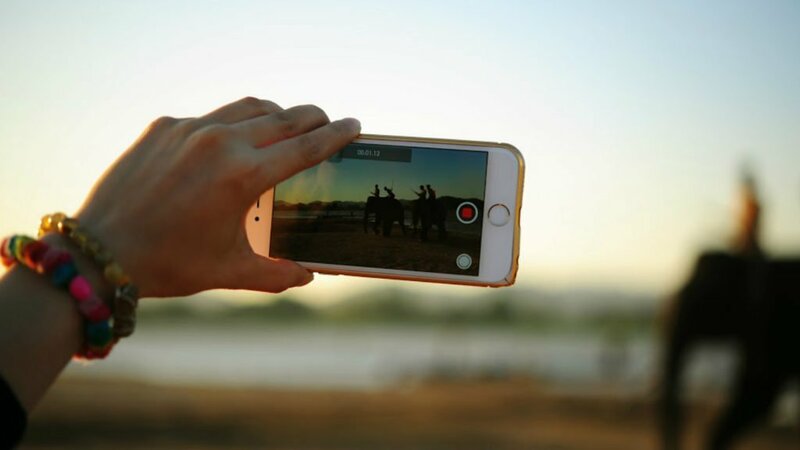 Although vertical video was once dismissed, consumption habits have caused marketers and media outlets to reconsider their perspective. As bandwidth becomes cheaper, broadband faster and cameras achieve better quality, video has increasingly begun to dominate how we as individuals communicate with each other. Organizations across the globe are increasingly adopting new technologies and measures to help improve office communication and stimulate a more active work environment. The opportunity to introduce video has never been so straightforward and attractive. One of the reasons more and more companies have enjoyed a surge in video technologies across several departments is due to the rise of affordable video platforms. What once used to cost an organization’s thousands of dollars to implement has now become a straightforward and cost effective process. Furthermore, in terms of the actual creation of content, due to the widely accessible content creation platforms, human resource managers can create internal communication videos in-house rather than having to outsource any projected work or employ a full-time videographer. Moovly, a cost effective content creation platform, has been specially designed to help you with all your daily video creation needs to help improve internal corporate communication. With Moovly, you can create a series of compelling internal communication videos without any particular set of design skills, nor the need to purchase specialized video equipment. The Moovly Business License gives you access to over 500,000 digital assets for you to create your internal communication videos, as well as offering you unlimited publishing to your social channels, unlimited publishing to your Gallery and a priority status on rendering, support, and access. Video is a powerful way to convey your messages and an effective tool to help your company reach its objectives. If you haven’t yet begun the process of integrating a video-based internal communication strategy, you face risking being overtaken and outperformed by your close competitors, who have likely all began to adopt the digital video change. All’s not lost, however, and organizations can still look to video as a way of emulating success. Our team at Moovly can help assist you in all your daily video requirements, as well as devise a plan suited to your business needs.